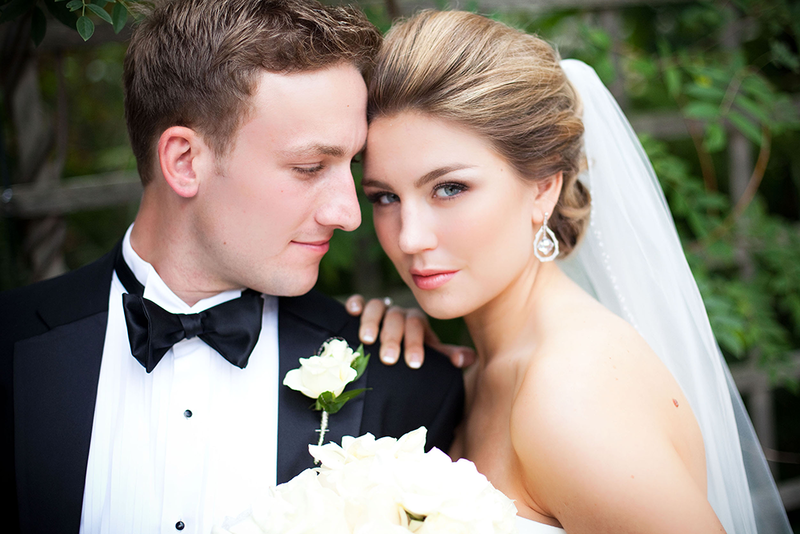 Lauren wanted a classic and timeless look for her elegant wedding. We decided to give her a smokey eye in natural, gold tones with a soft rose long wear lipstick. We added a few individual lashes to finish the look.